Welcome my friend to this 24-7 Wealth Club Review! The guy who calls himself “Richard” claims that you can make more than $13,000 this week thanks to his “set it and forget it” system. He also claims that many of his students are making thousands of dollars per week with what he shared with them. And between the quick and easy money claims, the unavailable testimonials, the founder who doesn’t show his face, and the many other red flags in the sales video and on the 247wealthclub.com website, you felt that there’s something wrong with this system, and that’s why you started looking for 24/7 Wealth Club reviews. I will show you here why you should be careful before joining this program, and don’t worry! 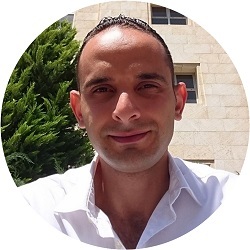 I will help you learn about the best method to generate income online, and will lead you to the best program where I personally learned this method. 100% Legit, no magical push buttons. Price: $37 for the front end. Optional Upsells for $471. Total $508. And you need to pay for tools and maybe ads. What Is 24/7 Wealth Club? 24-7 Wealth Club is a program that promises you to be able to make up to $13,127 per week, start today. And although it feels intriguing and makes you want to try this program in order to see what it is about, but here comes the first unrealistic claim. The sales video promises you that you can make money easily with the 24/7 Wealth Club without using any computer, only from your smartphone. And as someone who has been in the field of making money online for not a short period of time now, I can tell you that there’s still no method, program or system that can help you make this amount of money from your phone, neither in one week nor in one month. Such claims are often used to sell low quality or mediocre programs and training courses to people who are desperate of making money online and know nothing about how this works. How Does 24-7 Wealth Club Work? The 24-7 Wealth Club works by letting you in for the “One-time fee” of $37, and then, blast you with upsells for more than $470 in order to “charge your income, boost your commissions, ….etc.”. But you will never be able to make $13,127 during the first week. From what is mentioned in the emails used to promote this program, it is clear that this system is about teaching you how to make money with affiliate marketing. Also, in the sales video, Richard says that the more people join the program, the more money he makes, which my fall under the category of affiliate marketing, or Multi-Level Marketing. And if you don’t know what affiliate marketing is, then in brief, it is a marketing model where you, the affiliate, promote others’ products through a unique link (affiliate link) and make commission whenever someone buys through your link. And it is a legitimate model and my favorite method of making money online, but it is not as they promote it in the 247 Wealth Club sales video as a quick method of making thousands. There’s no quick method of making lots of money online. Every method has its own learning curve and requires you to do consistent work for not a short period of time before making any money, then how about making $13,000+ in the first week! That’s not how affiliate marketing or any other method of making money online or offline works. As I mentioned earlier, these claims of making money so easily and fast are just used in order to convince people who know nothing about making money online in order to purchase low quality or mediocre programs that don’t provide unique value. And almost all of them promise you to be able to make thousands of dollars easily and quickly with their “push buttons, loopholes, magical solutions, …etc.” or by working 10 or 30 minutes a day on their phones or laptops. And although I encourage you to learn affiliate marketing, as it is the most newbie-friendly method of making money online, and the one that is associated with the lowest level of risk, but I want you to start with the right mindset from the beginning, and with the proper training and support, like it is with my #1 recommended program, Wealthy Affiliate. The cost of the 24-7 Wealth Club is $37 for the front end, and then you will be offered to purchase optional upsells for up to $471. So, the total cost is $508! Upsell #1: 24/7 Wealth Club 2.0. $197 One-Time Fee. Upsell #2: 24/7 Wealth Club Pro. $177 One-Time Fee. Upsell #3: 24/7 Wealth Club Social. $97 One-Time Fee. Although they tell you that the one payment of $37 gets you everything!! Also, you will probably need to spend money on tools, web hosting, landing page builders, paid traffic, …etc. However, the good thing about it is that the 24/7 Wealth Club offers you a 60-days money back guarantee if you purchase it through this link. But remember that they don’t compensate you for the time you wasted or for the tools or paid traffic you paid for. It is about affiliate marketing, which is a legitimate model. They offer a 60-days money back guarantee. You will probably need it after you discover the lies they told you in the video. There are literally no push button systems that you can completely set and forget. Of course there are some methods that are more passive than others, and there are tools that you can use in order to automate some tasks. But there’s literally no method that works completely on autopilot to make you money, and more important, there is no way that can make you thousands of dollars in the first week by setting the system or working from your Phone. If you are not providing any value, then why would anyone pay you? And where is that money come in from? 2 – Where Are The Testimonials Of The Real Students? “Richard” claims that many of his students have made thousands of dollars in their first week after joining the 24-7 Wealth Club. He even mentions some names with the amount of money everyone made. Yet we don’t see any of these students in a real testimonial that we can make sure that he’s not faking these results. 3 – Who Is Richard? The guy who speaks in the video doesn’t show his face, and doesn’t even share his full name, although he claims that he became “the guy to talk to” when it comes to making money online! How do you make sure that this is even his real name?! Often times, some people who create low quality programs and people don’t buy them, they go and create other programs using other fake names in order to sell them because they know that no one would trust them anymore. There’s nothing wrong about upsells in general, but what I don’t like is that they promise you that the front end cost of $37 is the only cost that you will need to pay in order to get everything, and then they blast you with upsells that cost $471!! That’s almost 13 times the original “One-time fee”!!! They know that you won’t join their program for the $37+$471 (Total $508!!) since the start, so, they make you get in for the relatively low payment, and then, blast you with the upsells. If this is how they start, I can’t recommend that you join them! There’s always this statement that you might not be able to join the program after today, or there’s only this number of spots left, and a month later, you will mostly hear the same thing. This tactic is used in order to invoke the rush in you in order to make you buy the program before you look for reviews. Who Is 24-7 Wealth Club For? For “Richard” to make lots of money from you by selling you his upsells. The support of the 24/7 Wealth Club is available through the email on their website. Since the program is still new, then we don’t have enough feedback about their support. 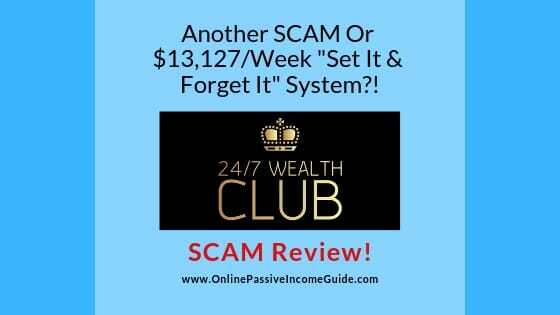 Conclusion – Is 24-7 Wealth Club A Scam Or Legit? The 24-7 Wealth Club is not a scam since you actually get something in exchange of the money you pay, even if it was not going to deliver the promised results. However, just because you get some training or guides for the money you paid, it doesn’t mean that you have to join the system, even if they offer a money back guarantee. You will end up with a disappointment and you will waste your time and you will lose money on the tools and they won’t compensate you for any of that! However, I still encourage you to learn affiliate marketing, but I want you to start with the right mindset and with the right training and guidance since the beginning, away from the magical push button systems and loopholes that overpromise and under-deliver. A 100% LEGIT & Proven To Deliver Alternative To 24-7 Wealth Club? As I mentioned earlier, Affiliate Marketing is the best method of making money online, and it is the most evergreen method, as you can learn in my FREE Make Money Online Guide. But the thing is that it still needs you to put the consistent work in advance on almost daily basis before you start making money, and this is the case for all other methods of making money online and offline. There are no magical push buttons, period. And in order to become successful with this method, you need to learn it from a completely legit program that doesn’t lie to you or sell you on the dream of making money with “a push of a button”, and a program that is completely transparent since the start and doesn’t surprise you with the hidden upsells and costs. And here comes my recommended alternative to the 24/7 Wealth Club program, which is a platform that is called Wealthy Affiliate. This is where I learned and where I continue to learn everyday. And what is unique about this platform is that they not only provide you with the comprehensive, detailed step-by-step training, but they also provide you with all the tools and support you need in order to build your business for NO Extra Cost or hidden fees. Access to the community of 1.4 Million like-minded entrepreneurs that are willing to genuinely help each other. And much more for NO Extra Cost or Hidden Fees. And you can join for the monthly membership or for the annual membership which costs much less than the total of the $508 that you will pay for the 24-7 Wealth Club, and remember that the latter doesn’t provide you with the web hosting, technical support, advanced tools, …etc. Even better, at Wealthy Affiliate you can start with the Starter Membership so that you try it for FREE before you commit to paying anything. And following is a screenshot for the first level of the training that you will get if you join TODAY! 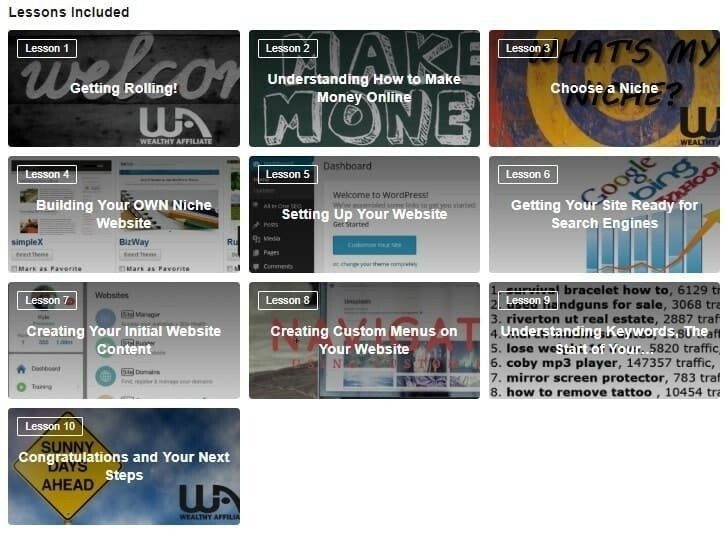 This level is enough to teach you how affiliate marketing exactly works, and it will help you build your first FREE website in 30 SECONDS with no technical hassle or coding in order to start adding helpful content that makes you money. It’s up to you if you want to upgrade to the premium membership anytime. So, if you are ready to take action and build a real business away form the magical solutions and push buttons that don’t deliver, then..
==>Click Here To Start With Wealthy Affiliate For The FREE Membership Through My Review! Go and take action now and start building a real online business that will pay you for years to come! The CB Cash Code Review – A Scam Or $80k/Month In 10 Min./Day?